We offer a variety of training to meet the needs of our Aging Service Professionals (Nursing Home Staff, Assisted Living Staff*, and Others). Below is a list of training that are available at request. Many sessions are at no cost to the facilities we work with. We do offer a variety of three hour up to all day courses for a minimal charge and can partner with other aging professionals to tailor specific training to meet your needs. The list below is large selection of classes we offer. 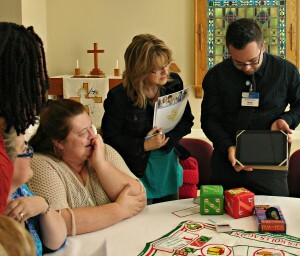 Many of our classes offer CEU’s for Adult Care Home Staff. What’s so Special About Special Care? For more information visit the Ombudsman page.